Round trip transportation from any town in Long Island, Brooklyn, Queens, New York City, Westchester, New Jersey, Connecticut. 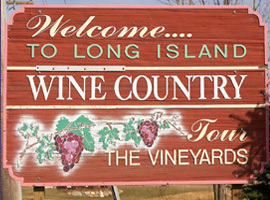 Visit 3 Award Winning North Fork Estate Vineyards, with tastings included. You will spend 5 hrs at the wineries. Choose from our many different limo party buses, limos and coach buses. 1 or 2 night overnight accommodations in the Historic Village of Greenport. These are all-inclusive packages. We can also customize a package to fit your needs. Complete your wine country weekend at one of the North Fork’s finest full service salons/ Experience the commitment to providing services which will delight and nurture you with attention, care, and expertise. This entry was posted in News and tagged food, limo party buses, restaurants, transportation. Bookmark the permalink.